By 2035, the population of the greater Nashville region is expected to rise to 2.2 million people. It’s a prospect that’s exciting for H.G. 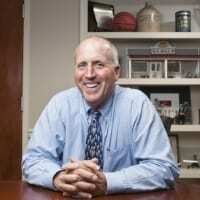 Hill Realty Company’s Chairman and CEO, Jimmy Granbery, whose company has new projects coming online to help meet the metropolitan area’s needs. Among those properties is Hill Center Brentwood, a mixed-use community that features office space and an enviable mix of national, regional, and locally-owned retail and dining options, including several that are new to the Nashville area. “Every one of our new projects is lifestyle-driven [and] we obviously have a strong presence in retail with our projects for the walkable, mixed-use-type properties that seem to be well accepted in the Nashville market,” said Granbery while sharing a ride with Hytch's Carissa Biele. At the same time, Granbery is well aware that Nashville’s growth is adding to the city’s traffic congestion problems, which will only get worse if new solutions aren’t realized—and soon. One transportation solution Granbery is particularly excited about is Hytch Rewards, in part because it has the potential to reduce the number of parking spaces that are needed at H.G. Hill Reality properties.  In particular, Hytch Rewards addresses the problem by paying users to share rides, thus reducing the number of cars on the road and, in turn, the need for more and more parking. That explains why H.G. Hill Realty Company has entered into a partnership with Hytch and is paying a penny per mile for shared daily commutes - rewarding a shared drive that ends in Williamson County - and a five cent per mile bonus for users who carpool or share a ride to or from Hill Center Brentwood. The Hytch partnership is also available at Hill Center Belle Meade and will be implemented at Hill center Green Hills in the future.